Q. How do I look up items in databases using Zotero? How do I connect Zotero to WWU collections? 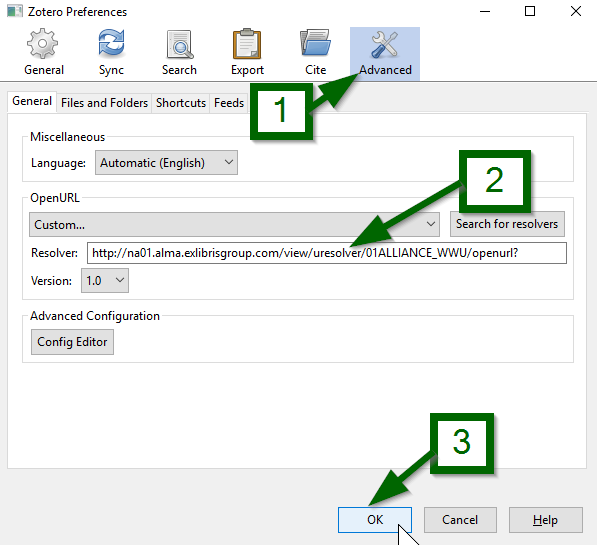 How do I connect Zotero to the WWU openURL? You've probably seen the Findit@WWU button in some article databases that allows you to locate the full text of an article online. 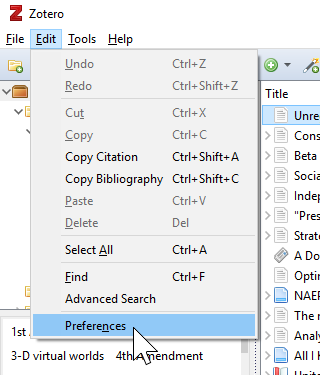 Zotero allows you to use the same feature when you only have a citation, rather than the full text of an article. If we have access, it will open your preferred browser and give you an access link. If not, a link to place an inter-library loan request will be provided.